Acne - Advanced Skin and MOHS Surgery Center, S.C.
Acne Vulgaris is a chronic inflammatory disease of the pilosebaceous follicles, primarily affecting the face, neck, upper trunk, and upper arms. 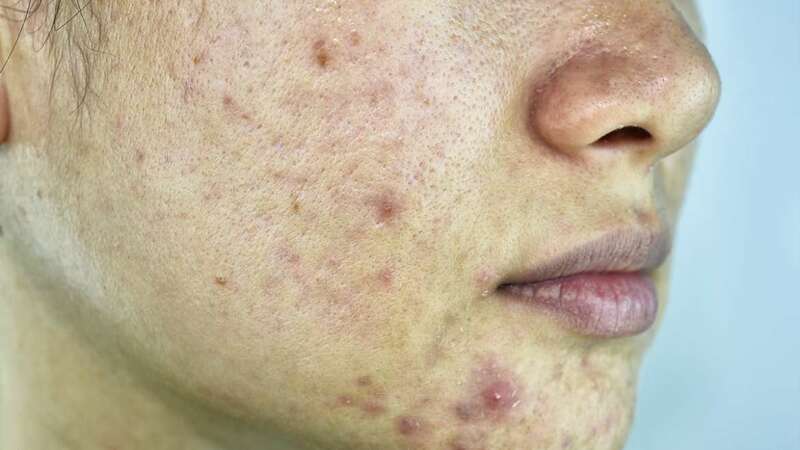 Acne is typically caused by a variety of factors including genetics, oil production, hormone fluctuations, the size of your pores, and the type of bacteria naturally living on your skin. All of these factors come together to cause blackheads, whiteheads, and inflammatory red-colored tender bumps. Often times when these acne bumps resolve, the patient is left with brownish-red discoloration that can last anywhere from 2 weeks to 6 months. There are hundreds of medications to treat acne. 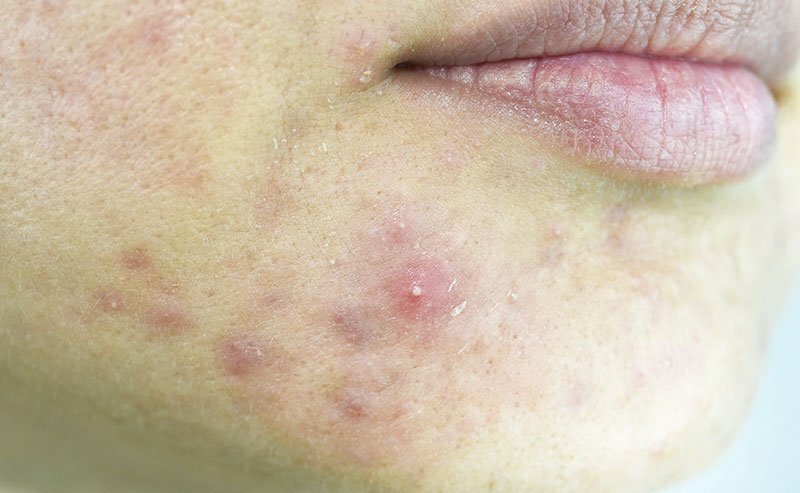 Each patient is unique and may require a different combination of acne products to get their acne under control. For most patients, it takes between 12-16 weeks to get noticeable improvement. Your dermatologist will work with you create and individual treatment plan that best suits your acne needs.